Our company has been famous for its quality coffee beans and perfectly roasted coffee blends since 1888. But we also offer companies and businesses in the catering industry a range of professional-grade coffee machines, much-needed accessories (barista tools, coffee filters, etc.) and associated products (milk, sugar, biscuits, etc.). Succes Koffie roasts the highest quality coffee beans from Asia, Central and South America at our very own roasting facility until they acquire their perfect, rich flavour, blending them afterwards based on our unique long-standing family recipes. All our coffees spoil their drinker with the most intense flavours and exotic aromas, though each blend also has its own character and flavour taints at the same time. 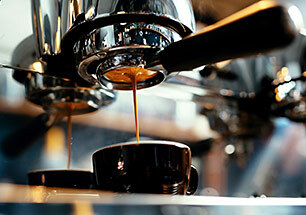 In our business, we strive every day to help our clients create the perfect coffee experience. We do not only supply coffee and associated products, we do much more than that. Clients can order our whole range and all our coffee blends online from our webshop for delivery at home or at their place of work! We offer a broad range of professional-grade coffee machines for small and large users, as well as comprehensive technical support. To make sure they can spoil their guests, clients can also turn to us for specialist advice about their coffee menu and how to prepare the perfect cup. What started back in 1888 as a modest business importing colonial wares, grew into one of Belgium’s leading coffee suppliers for companies and the catering industry. 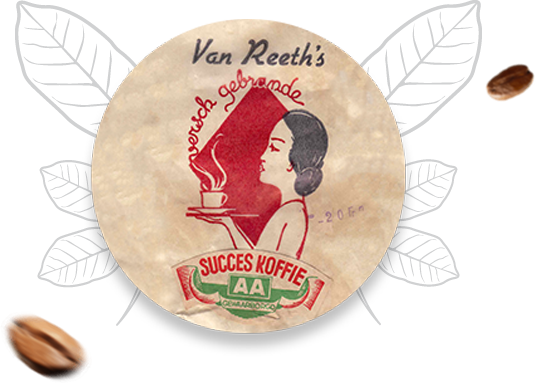 Succes Koffie has been working hard every day to provide its clients with quality coffee ever since its advent more than a century ago. In that time, our company weathered two world wars and numerous economic crises, and has been at the forefront of innovation, feeling the sector evolve and seeing preferences change from espresso and cappuccino to latte and macchiato. Thanks to our passion for quality and craftsmanship, we just went with the flow and today are as energetic as ever, continuing our long tradition with the same dedication and love our founders instilled at the heart of our company.